McLeodGanj or the upper part of Dharamshala in Himachal Pradesh is best known for being the home of Dalai Lama, the spiritual leader of Tibet living in exile there. Apart from attracting lakhs of Buddhist devotees, the place is also a tourist attraction for its breathtaking view of the Dhauladhar range. 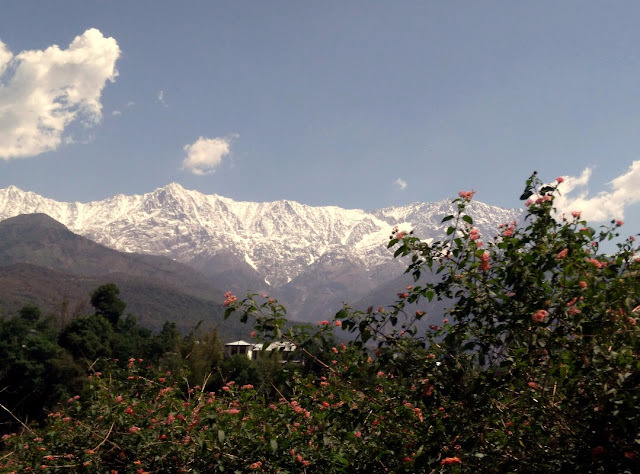 On the way back from Khajjiar (Read about that trip here), we made a two-day stop at McLeodGanj. The splendour of the peaks was our main attraction, but I was also hoping to try out some Himachali and Tibetan delicacies. I was told that unlike the Dalhousie zone, where the local food had a strong Punjabi influence, the areas around Dharamshala has a lot of Tibetan food. There is also a distinct preference for oriental food like Japanese, and Korean, as there are a large number of tourists from these parts of the world who visit McLeodganj due to religious reasons. On the Himachali food front, I drew an absolute blank. I admit that my window was small so I could not do a complete search. However, almost everyone I met said that Himachali food is eaten at home, and there is no place serving the Himachali Thali in McLeodganj. Finally, one person directed me to Moonpeak Café on the Temple Road, but alas, the Himachali food was not available on that day. They said, that they mostly prepare on request, and I was leaving the next morning. As soon as I checked into my hotel, the reception staff directed me to a Japanese restaurant in the neighbourhood. Lung Ta is so famous in McLeodganj that the landmark for our hotel on Joshiwara Road was given as near the Japanese restaurant. The place on a Saturday afternoon was full, and people were standing outside for a seat. It has a set menu for the day (priced only at Rs 200) which had a fried tofu, veggies in soya dish, a miso soup and mashed potato salad. I, however, was interested in trying some of the a-la-carte dishes. As sushis are only available on Fridays and Tuesdays, we started with the other delicacy, the Miso Soup (Rs 80) with seaweeds and tofu. 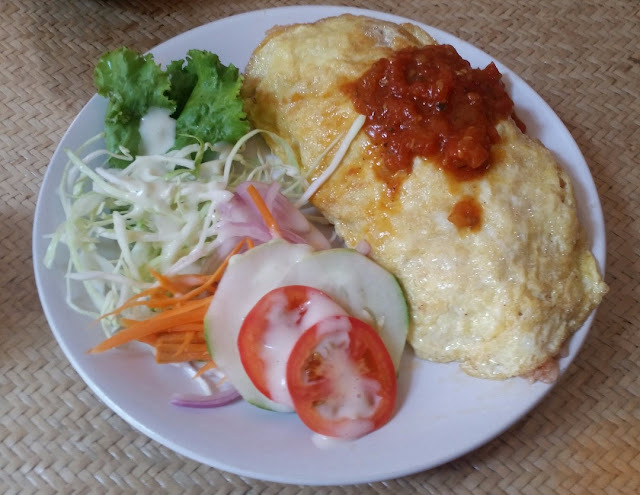 We were advised to try the Omu rice (Rs 100), fried rice inside an omelette, topped with tomato puree and served with salad. 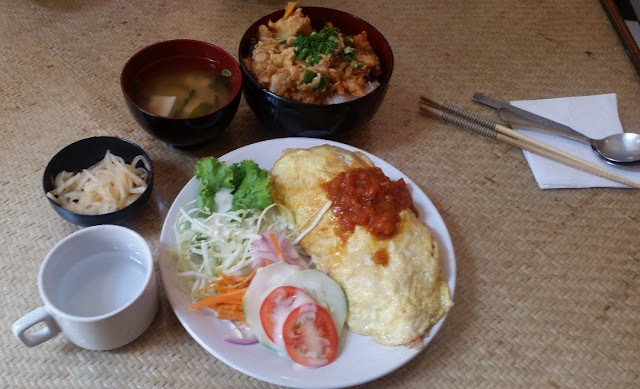 Both the dishes were fresh and aromatic, the miso soup had that distinct aqua-food flavour, and the fried rice inside the Omu rice was delicate. 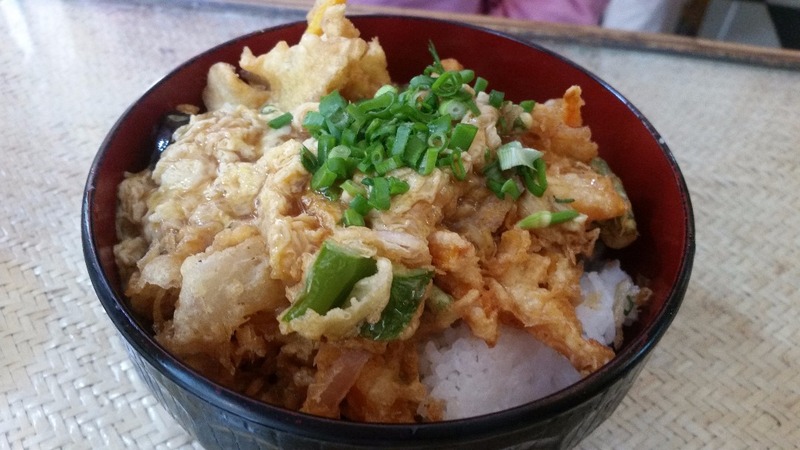 The third dish was Kakiage Don (Rs 100), a complete bowl dish with rice cooked in soya sauce topped with vegetable tempura and eggs. Again the sauce-soaked rice was fabulous here. We would have definitely gone back to try more dishes, but we had time for only three meals in McLeodganj, and that really restricted us. Tibetan cuisine is primarily carb and meat based and vegetables are using sparingly due to lack of availability. Ginger, garlic and onions are popular as an accompaniment to meat, whereas spices are used more in the area adjoining India and Nepal. For Tibetan food, I was given names of three places – Tibet Kitchen, Lobsang’s Four Season and Norling, and we could only visit the first two. 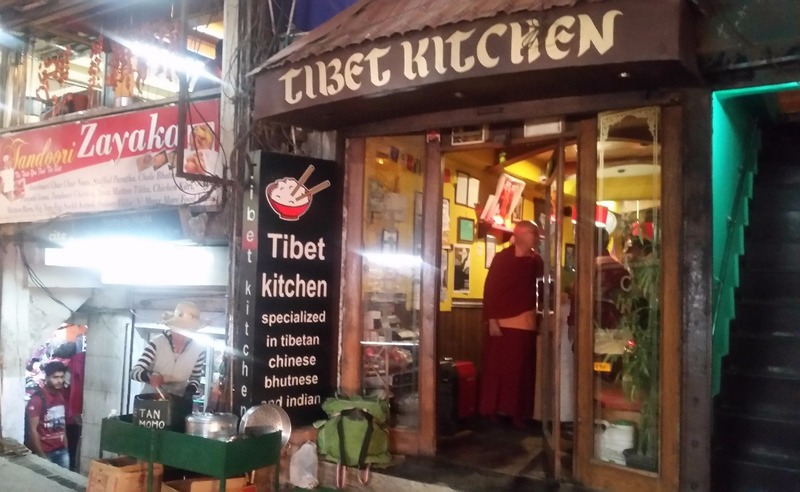 Of course, during my stay in McLeodganj, we could see many Tibetan eateries, and I am sure some of them will be as good. Tibet Kitchen is near the main market and has seatings in both ground and first floor. 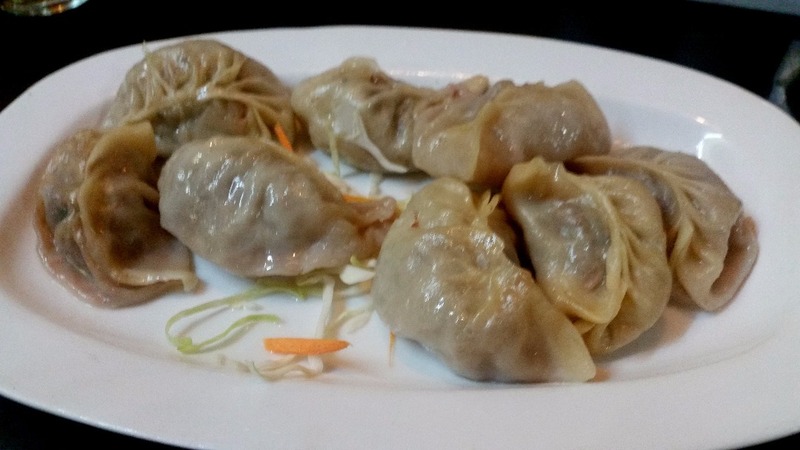 We tried their steamed Tibetan Momos (Lamb – Rs 120) which were large and well stuffed with lamb and a smattering of ginger and garlic. It hardly had any spices, but the accompanying red chilli paste made up for it. The other starter Shredded Chicken in Honey Chilli Sauce (Rs 180) was crispy and decent. Apart from Tibetan, they are also known for their Bhutanese food, like Datshi and Paa. 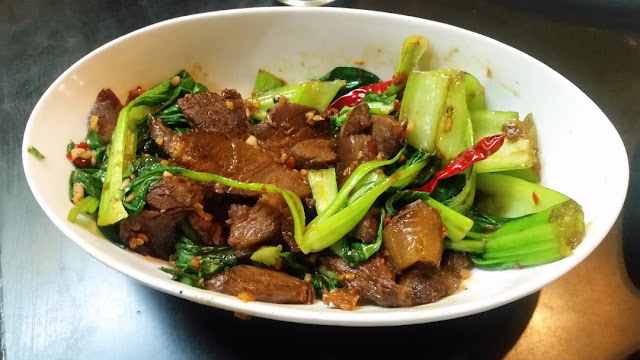 I had been recommended their Shakam Paa (Deep Fried Lamb and Pok Choy in a chilli pepper sauce – Rs 230). The chilli pepper sauce was the highlight of this dish as the soya based gravy had a slightly pungent taste. The dish went well with some well-made Mixed Fried Rice. Tibetan Kitchen is an extremely crowded place and a favourite for both locals and tourists, they have a pretty large menu of Tibetan fare including Shapta and Thentuk. 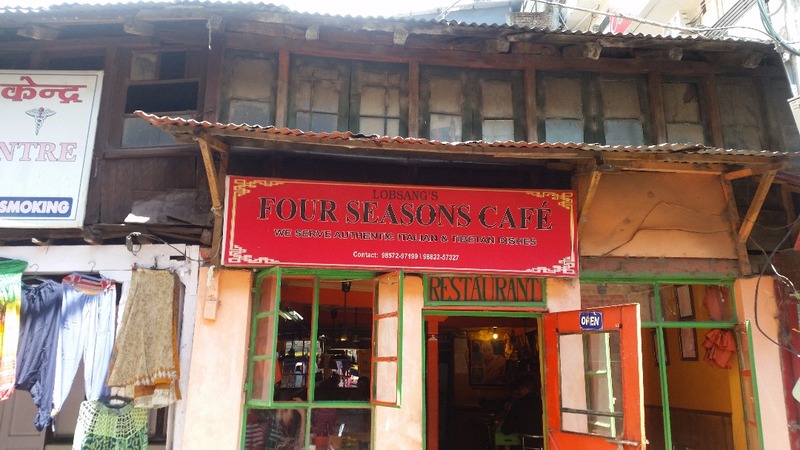 Lobsang’s Four Seasons Cafe, in contrast, is a laid back small place with just five tables. 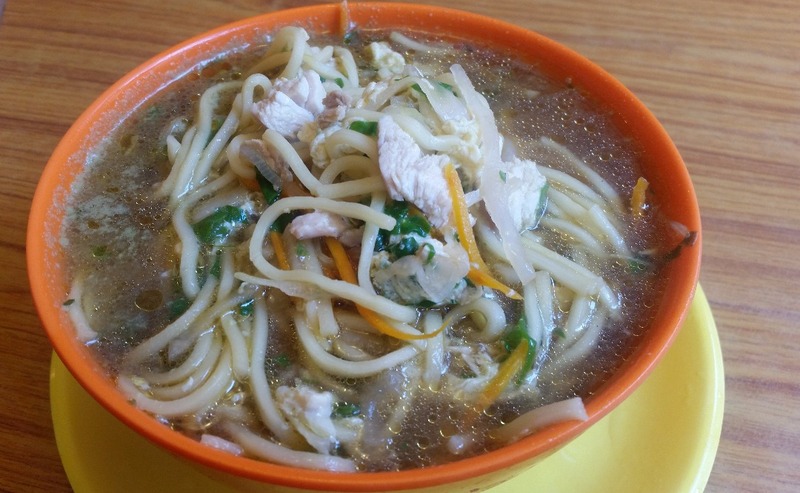 This place, again on Jogiwara Road, was recommended to us for its Tibetan Thukpas and Tibetan gravy noodles. Unfortunately, they had only chicken for the day, but their Thukpa (Rs 100) was a delightful dish. Unlike the Nepalese version, it was low on spices and retained the taste of fresh vegetables. 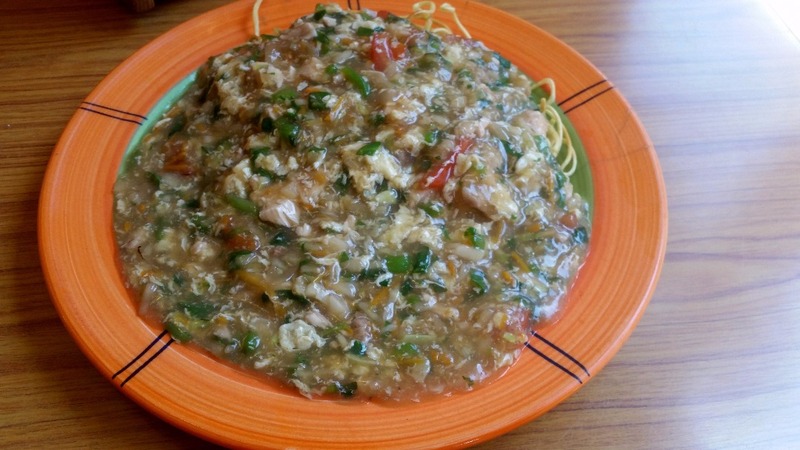 Chicken Soutesmen (Rs 150) was a chop suey kind of a preparation, with chicken and vegetable gravy spread over fried noodles. I had never heard of Soutsmen before in spite of my regular trips to the Himalayan region, but the dish was a perfect meal. There were also Thentuk in the menu, but it was not available on that day. Apart from these three, McLeodganj is dotted with restaurants of all kinds serving a range of cuisines. Pizza seemed to be a popular food, popular joints being Nick’s Italian Kitchen and Illiterati. 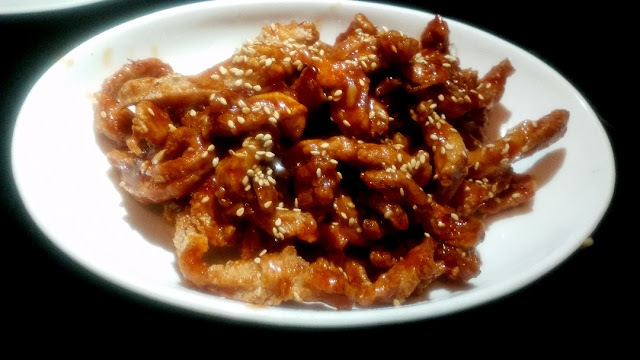 On the last day, we discovered a Korean restaurant called Seven Hills of Dokkaebi in the basement next to Lung Ta on Joshiwara Road. Unfortunately, we had our dinner by then and had to give it a miss. The cool hill station of McLeodganj is best visited between February to June and again in October and November. It is best avoided during the rainy season and cold winter, except for the adventurous travellers.